If you’re in the business of sand production and need a replacement trommel drum screen, Samscreen can help. That’s because we provide replacement trommel screen for your sand screening machine, no matter what type. Whether you produce coarse, medium or fine grade sand, or all three, trust Samscreen with your trommel screening solution. When you’re in the business of sand production, you know that the right trommel drum screen for the job is important. Samscreen provides replacement trommel screens for sand production. As construction has increased, so has the demand for sand, to the point where collection of natural sand was unable to satisfy demands. 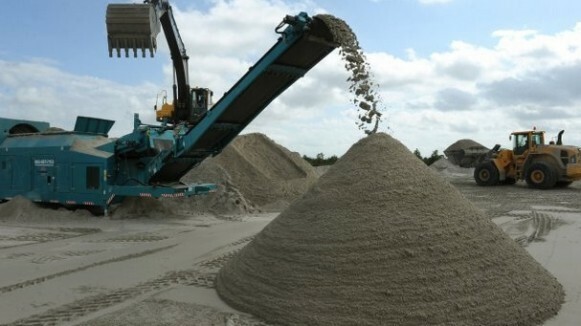 Crushing gravel into sand, and then carefully screening it for accurate sizing makes manufactured sand. The right trommel drum screen for the job, then, is extremely important. Samscreen provides the best replacement trommel drum screens and parts for the top manufacturers of sand screening equipment. When you trust Samscreen to meet your replacement trommel screen needs, you’ll find that we offer a wide variety of screens for any job. When you choose us to meet your replacement screen needs, you’ll be able to choose from a number of screen types, including trommel drum screens. To find out how we can provide a custom solution for your sand screening application today, simply call us at (888) 344-3653 and we will be happy to assist you with your replacement trommel drum screen and wear part needs.